PREMIER!! NAVIGATION!! LEATHER!! BLUETOOTH!! REAR VISION CAMERA!! 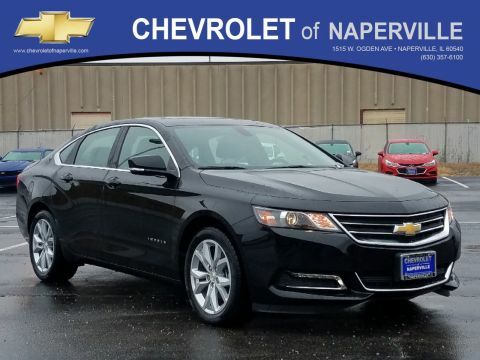 2019 CHEVROLET IMPALA PREMIER 4-DOOR SEDAN, BLUE VELVET METALLIC ON JET BLACK HEATED LEATHER SEATING, 3.6L V6 DOHC ENGINE UNDER THE HOOD, 6-SPD AUTOMATIC TRANSMISSION!! 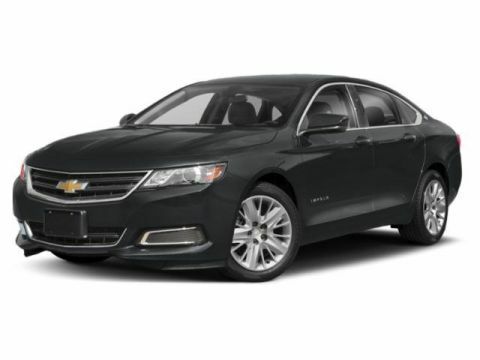 LETS GO OVER ALL THE OPTIONS ON THIS LOADED UP IMPALA PREMIER, CHEVROLET MYLINK AUDIO SYSTEM W/ 8 COLOR TOUCH SCREEN NAVIGATION, APPLE CARPLAY CAPABILITY, BLUETOOTH, REAR VISION CAMERA, 19 ALUMINUM WHEELS, THERE’S MORE!! LTE WI-FI HOTSPOT, EZ KEY PASSIVE ENTRY SYSTEM WITH PUSH BUTTON START, REMOTE START, AND DUAL ZONE CLIMATE CONTROL, LADIES AND GENTLEMEN…LETS JUST SAY THIS ONE IS L.O.A.D.E.D.!! BUT WAIT IMPALA SHOPPERS….WE HAVE MORE!! YOU GET THE REMAINDER OF GM’s 36 MONTH OR 36,000 MILE BUMPER TO BUMPER COVERAGE GOOD UNTIL 08/23/2021 OR 36,000 MILES, PLUS THE REMAINDER OF THE 5 YEAR OR 60,000 MILE POWERTRAIN COVERAGE GOOD UNTIL 08/23/2023 OR 60,000 MILES!! ALL AT NO ADDITIONAL COST TO YOU…YEP YOU GOT IT…WORRY FREE DRIVING…ALL ABOARD!! COME ON DOWN TODAY AND TAKE THIS IMPALA FOR A SPIN AROUND OUR FAMOUS CHEVROLET OF NAPERVILLE TEST TRACK!! 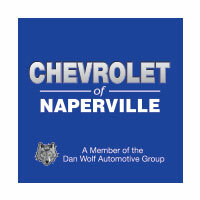 FIRST ONE HERE WINS….FIND NW ROADS AT CHEVROLET OF NAPERVILLE.. PREMIER!! NAVIGATION!! LEATHER!! BLUETOOTH!! REAR VISION CAMERA!! 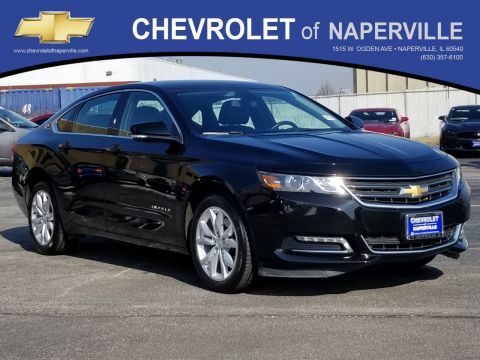 2019 CHEVROLET IMPALA PREMIER 4-DOOR SEDAN, BLUE VELVET METALLIC ON JET BLACK HEATED LEATHER SEATING, 3.6L V6 DOHC ENGINE UNDER THE HOOD, 6-SPD AUTOMATIC TRANSMISSION!! 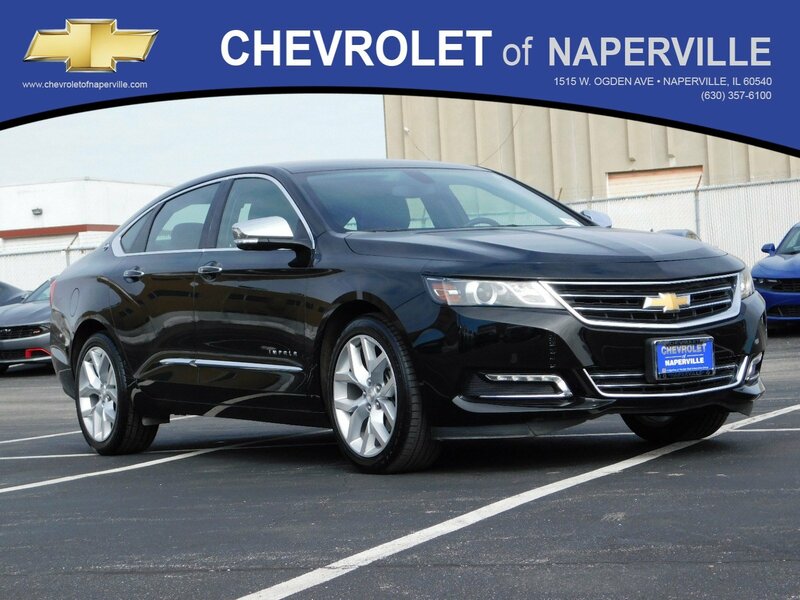 LETS GO OVER ALL THE OPTIONS ON THIS LOADED UP IMPALA PREMIER, CHEVROLET MYLINK AUDIO SYSTEM W/ 8 COLOR TOUCH SCREEN NAVIGATION, APPLE CARPLAY CAPABILITY, BLUETOOTH, REAR VISION CAMERA, 19 ALUMINUM WHEELS, THERE'S MORE!! LTE WI-FI HOTSPOT, EZ KEY PASSIVE ENTRY SYSTEM WITH PUSH BUTTON START, REMOTE START, AND DUAL ZONE CLIMATE CONTROL, LADIES AND GENTLEMEN...LETS JUST SAY THIS ONE IS L.O.A.D.E.D.!! BUT WAIT IMPALA SHOPPERS....WE HAVE MORE!! YOU GET THE REMAINDER OF GM's 36 MONTH OR 36,000 MILE BUMPER TO BUMPER COVERAGE GOOD UNTIL 08/23/2021 OR 36,000 MILES, PLUS THE REMAINDER OF THE 5 YEAR OR 60,000 MILE POWERTRAIN COVERAGE GOOD UNTIL 08/23/2023 OR 60,000 MILES!! ALL AT NO ADDITIONAL COST TO YOU...YEP YOU GOT IT...WORRY FREE DRIVING...ALL ABOARD!! COME ON DOWN TODAY AND TAKE THIS IMPALA FOR A SPIN AROUND OUR FAMOUS CHEVROLET OF NAPERVILLE TEST TRACK!! FIRST ONE HERE WINS....FIND NW ROADS AT CHEVROLET OF NAPERVILLE..